Oven Cleaning Commercial & Domestic Kitchen Ilford IG | Quality Property Care Ltd.
Quality Property Care Ltd. offers professional domestic and commercial oven cleaning everyday of the week with no exception for weekends or holidays! Book your service with us on 020 3746 4287 today and get your cooking device in a top condition without even sweating. Perfect final results are guaranteed! While the main focus of this service is your oven, we also have additional solutions which can be used to keep your entire kitchen clean. We can clean it from top to bottom, starting with the tiles and grout on the walls and floors, sinks, trash cans, countertops, warm drawers, cupboards and so much more. Take advantage of our thorough kitchen and oven cleaning service and call us any day of the week. We can clean ceramic hobs, single ovens, double ovens, hotplates, gas hobs, gas cooktops, stoves, ceramic cooktops, cookers, AGA cookers, Rayburn range Cookers, Stanley Range comers, oven racks, cookware, extractors, freezers, warming drawers and fridges including all detachable parts like fans, trays, panels, racks, extractor fans, light protectors and control knobs. As an experienced cleaning expert that has been on the market for many years, Quality Property Care Ltd. is a professional oven cleaning company that can take care of all types of ovens. We dismantle the devices for more detailed disinfection. In the end, we re-assemble them for free. Submit an order for spotless oven cleaning in Ilford IG. Make your meals taste better. We guarantee you to remove all the stubborn stains and burnt. We also eliminate the organic leftover residues and the sticky spots. Feel the difference in your clean kitchen and enjoy your cooking with a sparkling clean oven. It is easy and cheap now! If you want to eliminated your oven's bad odour, or want to see it shiny again, our hassle-free oven cleaning service in Ilford IG from Quality Property Care Ltd. is the best solution for you. 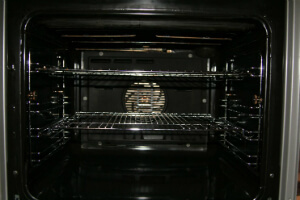 It is performed by experienced, well-trained and skilled oven cleaners. They are fully vetted and insured. Even if you leave them alone in your house, don't worry: your personal belongings are secured. 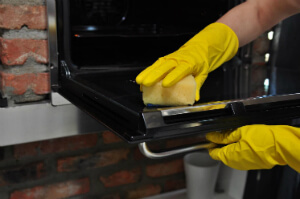 The skillful oven cleaners work fast and can be re-scheduled for free within a decent period after your booking. We are understanding and flexible, so we promise to organise professional oven cleaning in a most convenient for you way! Booking a thorough oven cleaning service has never been easier and faster. The customer care service is here for your phone on 020 3746 4287 or for your online booking form. You will be charged with no deposit for booking, and there are no hidden fees for the service. Emergency booking is available. You can book your oven cleaning for any day of the week, including bank holidays and weekends, with no additional charges.